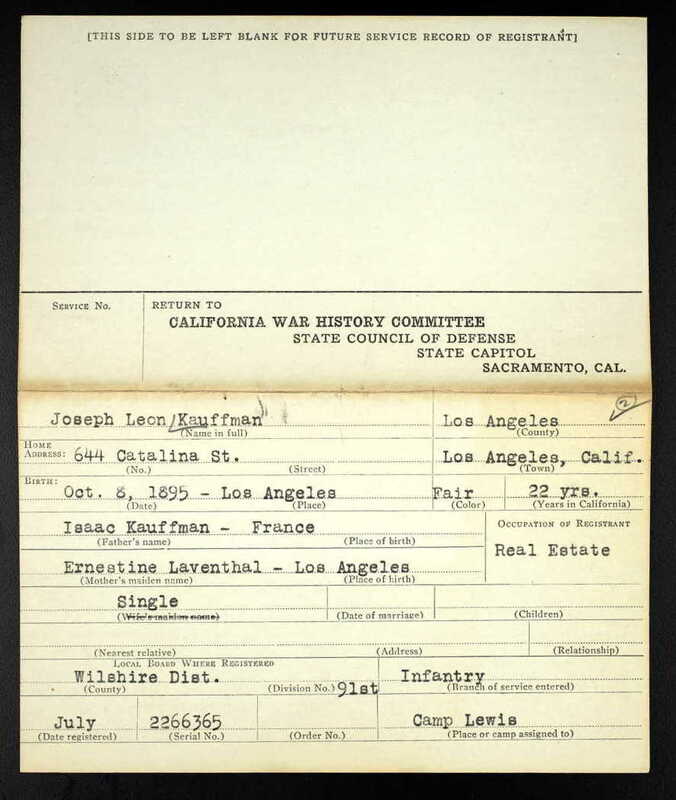 Jan. 15, 2011 -- Joseph Leon Kauffman of Los Angeles died serving his country during World War I, and also fighting for the liberation of his ancestors' homeland in Europe. 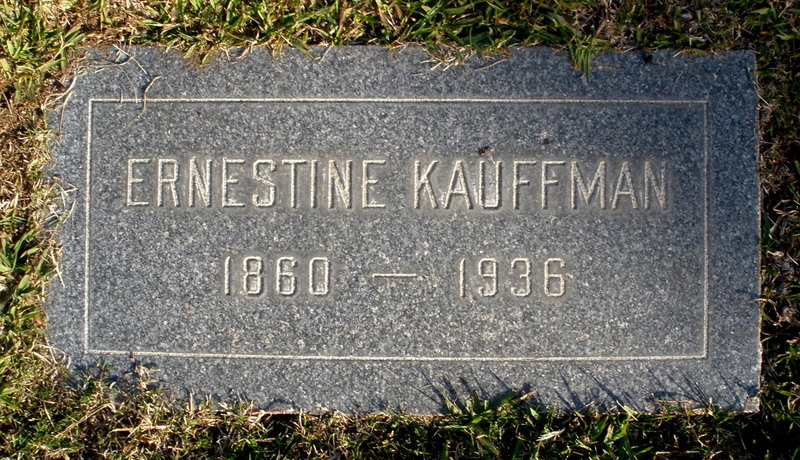 Kauffman was the youngest of three sons born to Isaac and Ernestine "Tina" Laventhal Kauffman. Milton was born in 1882 and Jules was born in 1883, when the family was living in Arizona. Joseph was born in 1895, after the family moved to Southern California. Kauffman's father was a refugee from the Alsace-Lorraine region, currently a province in eastern France along the German border, but an area that has, over the centuries, gone back and forth between French and German control. The region was taken by Prussia and became part of Germany following France's defeat in the Franco-Prussian War (1870-1871). Isaac Kauffman came to the United States in 1867, when he was 16 years old. When the United States joined World War I in 1917, 22-year-old Joseph Kauffman, who had attended the University of California and was working in the real estate business in Los Angeles, was eager to enlist. He initially applied for entrance to the officers' training school but, due to a clerical error and a confusion of names, he was rejected. He was eventually drafted on Aug. 18, 1917, and, according to newspaper reports, "he joyfully accepted the call, even hastening his departure by exchanging places with a married man." Kauffman was a sergeant in the U.S. Army's 91st Infantry Division, which was known as the "Pine Tree Division" and the "Wild West Division," since most of its troops came from Western states. The division trained at Camp Lewis, Wash., and left for England in the summer of 1918. The division's first major operation was participating in the Battle of Saint-Mihiel in France in September 1918, under the command of U.S. Gen. John Pershing and one of the first U.S. solo operations during World War I. 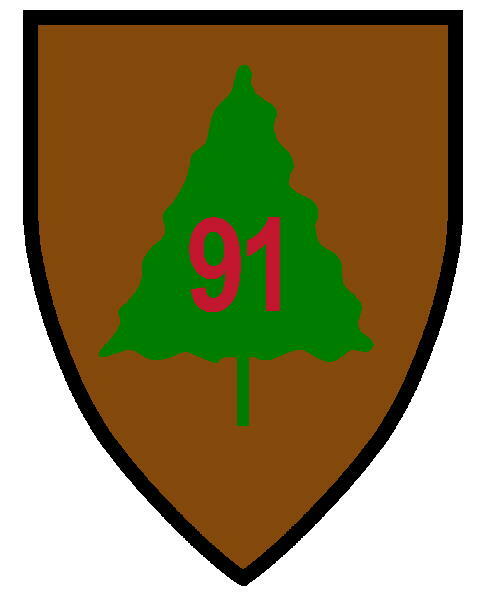 The 91st Division next headed to the Meuse-Argonne Offensive, also called the Battle of the Argonne Forest, which was part of the final Allied offensive of the war. On Sept. 26, 1918, the U.S. troops began their strike toward the city of Sedan, with the objective of capturing the rail station at Sedan to break the support for the German army in France, and breaking through German's Hindenberg Line. Two days earlier, Kauffman wrote a letter home to his parents. "We are camping close to the front," he wrote. "The shells are whizzing over our heads all the time. We have had a lot of long, hard marches and camping out -- all the real hard doses of Army life, but we are all here and still 'a-going.' We are all anxious to get into the fight; we have been training so long that we are tired and want some real action. Even now the noise of the big guns is music to our ears. I expect to be able to write a lot of thrilling experience soon, but cannot tell when." But Kauffman never got the chance to write about his experiences. He was killed on Sept. 26, 1918, the first day of the offensive, and less than two weeks before his 23rd birthday as the 91st Division captured the village of Epinonville, but was forced to evacuate. According to the Army notification, Kauffman was killed when his company attacked the German line, and an explosive shell fell near the soldiers, killing several of them. Kauffman was buried on the battlefield the next day. The Meuse-Argonne battle was the largest frontline commitment of troops by the U.S. Army in World War I, and also its bloodiest. The battle involved an estimated 550,000 French and U.S. troops, and an estimated 190,000 members of the German Fifth Army. A total of 26,277 U.S. troops were killed, making it the deadliest battle in U.S. history. The Allied troops continued to advance toward Germany, which agreed to a cease-fire on Nov. 11, 1918, which became known as Armistice Day. Officially, a formal state of war existed between Germany and the Allied powers until the signing of the Treaty of Versailles on June 28, 1919. As part of the treaty, the Alsace-Lorraine territory -– the homeland of Joseph Kauffman's father -– was returned to France. In March 1919, Isaac and Ernestine Kauffman filed a lawsuit against the Metropolitan Life Insurance Company, seeking to recover the $3,000 payment on a life insurance policy that Joseph Kauffman took out after he joined the Army. After Kauffman was drafted on Aug. 18, 1917, he took out a policy with the insurance company on Sept. 12, 1917, naming his mother as the beneficiary. After Kauffman was killed in battle the following year, Ernestine Kauffman attempted to collect on the policy, but the insurance company refused, citing the so-called "war clause," which states that insurance companies don't pay out for death due to war or a war-related incident. Instead, the insurer is required only to pay back the premiums which have been paid on the policy. Ernestine Kauffman argued the beneficiary shouldn't be bound by the "war clause," and that the policy was issued while Kauffman was serving in the military. It was the first lawsuit filed by relatives of a soldier killed in action against an insurance company that refused to pay on the policy. It is not known whether the Kauffmans won the lawsuit, but it's unlikely, since the "war clause" specifically excluded payment for deaths due to war. 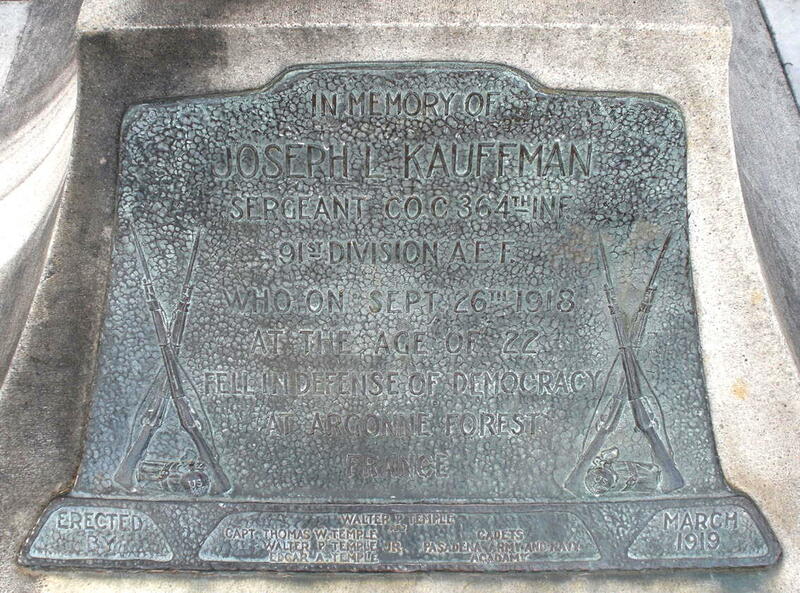 Joseph Kauffman is remembered with a memorial marker at Home of Peace Cemetery in Los Angeles. 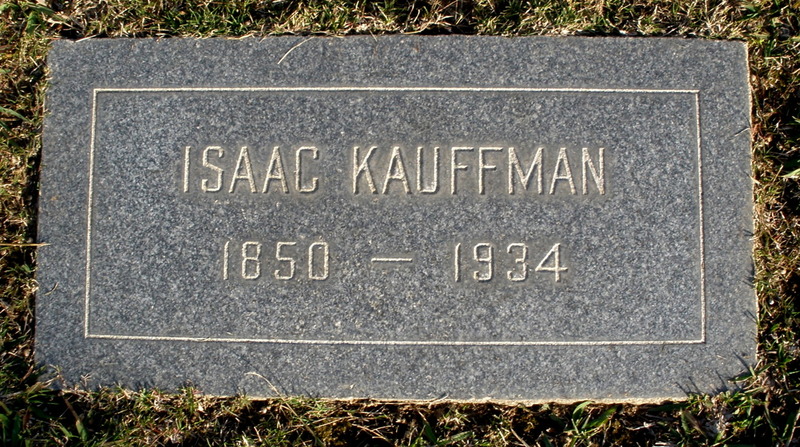 His parents –- Isaac Kauffman and Ernestine Kauffman -– are buried nearby. 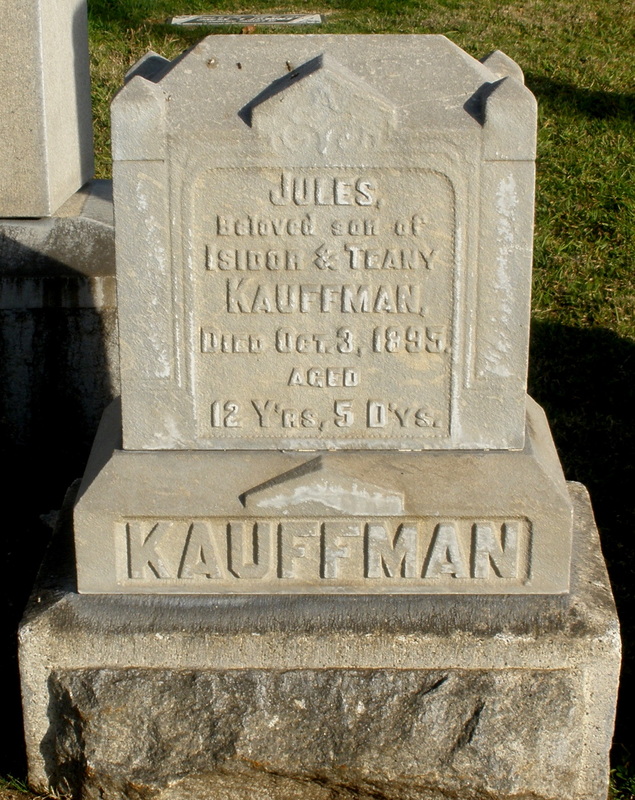 Also buried nearby is Joseph's brother, Jules Kauffman, who was 12 years old when he died on Oct. 3, 1895 -- five days before Joseph was born. 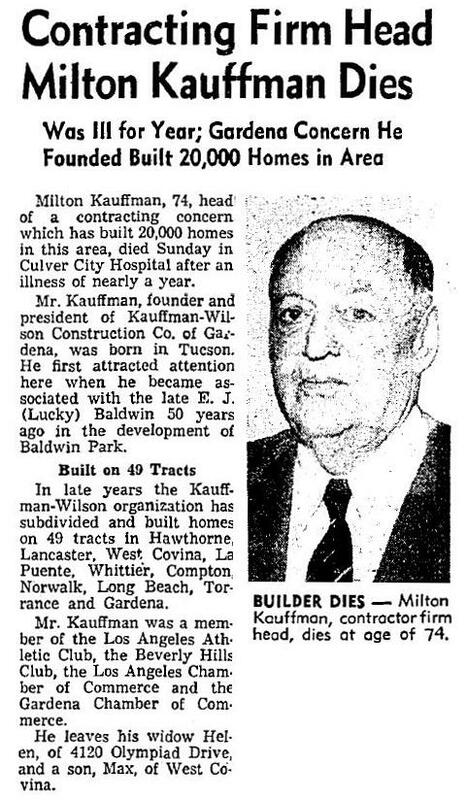 Kauffman’s older brother, Milton Kauffman (1882-1956), founded a construction company which built an estimated 20,000 homes throughout Southern California. Milton Kauffman was also the business manager for area developer Walter P. Temple. In July 1919, a 20-foot white granite obelisk was unveiled on the Temple Oil Lease property in Montebello, Calif., in Joseph Kauffman's memory. The memorial, a gift from Walter P. Temple, was described as "the first memorial to an individual to be erected in California," and included a bronze plaque in Kauffman's memory. 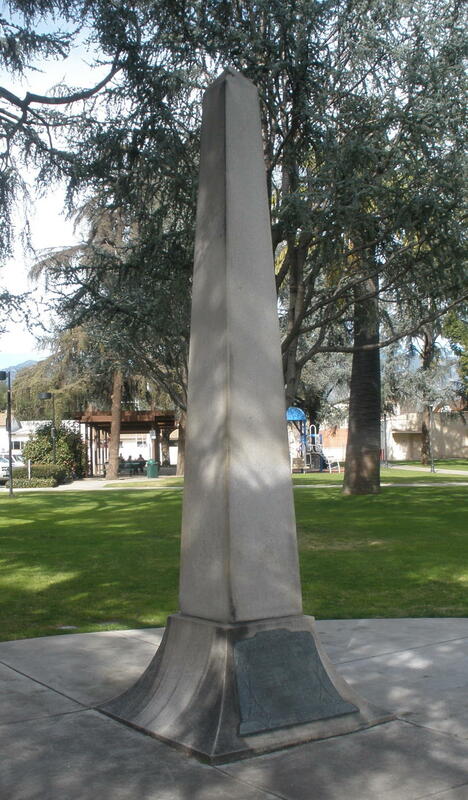 When Walter P. Temple sold the Temple Oil Lease property, the memorial monument was moved a few miles away to Temple City Park, in Temple City, Calif. On May 30, 1930, the Joseph L. Kauffman Memorial monument was unveiled and dedicated at its new and current location, on Las Tunas Drive near Kauffman Avenue. The ceremonies, which were organized by the Joseph L. Kauffman Post 279 of the American Legion, included a parade, band concert and community picnic.